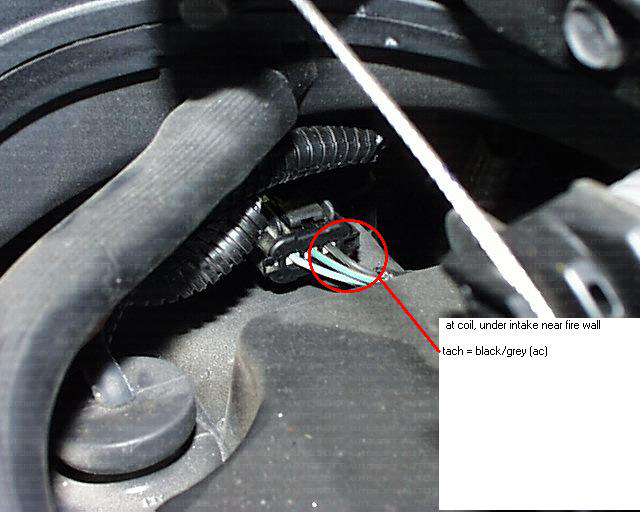 I almost figured out where to connect all the wires from remote starter brain (Prostart CT-3471 TW) according to the wiring info and remote starter installation guide. I put label to each wire of Brain (and also mentioned what number pin harness the wire belongs to etc.,), so that I don't get mess-up or confuse with the installation in my 2002 PT Cruiser Limited. However I still have few more questions. I'm enclosing By-pass module installation guide for idataLink ADS-DL-CH6 By-Pass Module weblink (http://www.idatalink.com/documents/install-guides)since I couldn't able to enclose it here, Prostart CT-3471 TW Remote starter installation guide and Remote starter Schemic wiring diagram, and 2002 Cruiser wiring information in PDF File for your perusal. If you see the Page #7 in idataLink (ADS-DL-CH6) installation guide, I don't have any questions about IDATALINK SIDE of RS232 Port (left side of module) where you just have to connect to RS232 Port of both Bypass Module and Remote starter either side with the cable. If I use RS232 Port, as you replied me earlier that I can ignore rest of the ports side by RS 232 Port (left side) in module, is that right? 1. Some of the wire colours are mentioned with NC in brackets. What is (NC) means? I assume it means "Not Connected!!? ", is that right? There are some of the coloured wires like (not in bold font) WHITE (NC), YELLOW/BLANK (NC), YELLOW/RED (NC), BROWN/RED (NC), BROWN/YELLOW (NC), ORANGE/WHITE (NC), PINK/BLACK (NC). Please let me know whether I can ignore these wires or should I have to connect to anywhere????? 2. Please let me know some of the below coloured wires in bold font (from By-pass module right side) where exactly I should connect? To the Remote Starter wires or at the Main Harness and Driver’s Kick Panel in the vehicle? C) YELLOW - ANALOG OUTPUT (REFER TO CROSS-REFERENCE CHART)? D) ORANGE/BLACK - GROUND. WITH OEM ALARM ONLY? E) ORANGE - DATA (J1850)? Where do I find this J1850 Port in my 2002 PT Cruiser? F) PINK - IGNITION [+] INPUT? 3. There also a picture of SKIM IMMOBILIZER MODULE? Is that anything to do with my installation in PT Cruiser or should I ignore that? 4. In page #11 of by-pass module installation guide, under "INSTALLATION MODE SELECTION" Mode Selection, there are 2 options. The 1st option is "PRESS AND RELEASE" programming button to select installation mode. Need I've to choose "PRESS AND RELEASE" button after finishing installation or connecting all the wires in my vehicle or I need to press the button before connecting it to the Brain or since you have already programmed the bypass module, should I ignore that option? The 2nd option is "PRESS AND HOLD". It's also the same doubt like the above? 5. The “MODULE PROGRAMMING PROCEDURE” is only you doing when you finish the installation for testing purpose, is that right? 6. I can't do the "FACTORY RESET PROCEDURE", because it may erase the all programmed data inside the module, is that right? 7. What about my current remote which is having simple commands like lock, unlock and panic options. Need I have to remove any box/wires of my current remote at any location in my car or I don't need to /touch or change anything in regard to my current remote in my car? Please answer me the above questions one by one. Your reply would be appreciated and I hope you could send me the reply as early as possible so that I can start me installation next week. 1. My Remote starter is 2 way LCD type (Prostart CT-3471 TW). However my understanding with your reply, that my remote starter is 1 way data communication type, is that right? 2. Basing on your reply (though my bypass module with RS 232 port, since my Remote starter module is 1 way data communication type with RS 232 port) I still need to connect Green wire (Right side of bypass module which is for DOOR & TRUNK STATUS (-VE) OUTPUT) and Purple/white colour wire (Right side of bypass module which is for TACH OUTPUT(AC), is that right? If so, where do I connect the Green wire of Bypass module in my car, I mean to what colour wire(s) in my car? (because in the wiring info of 2002 PT Cruiser there are couple of Door Pin wires for left and right sides of rear & front with -Ve polarity i.e., Tan/Blue for Driver side door and Blue/Orange for Rest of the doors if I'm correct!?) and there is TRUNK RELEASE (Brown/Blue colour wire at Trunk Switch) and TRUNK PIN(Tan/Black colour wire at Running Board Harness in a White Connector) wires. 3. 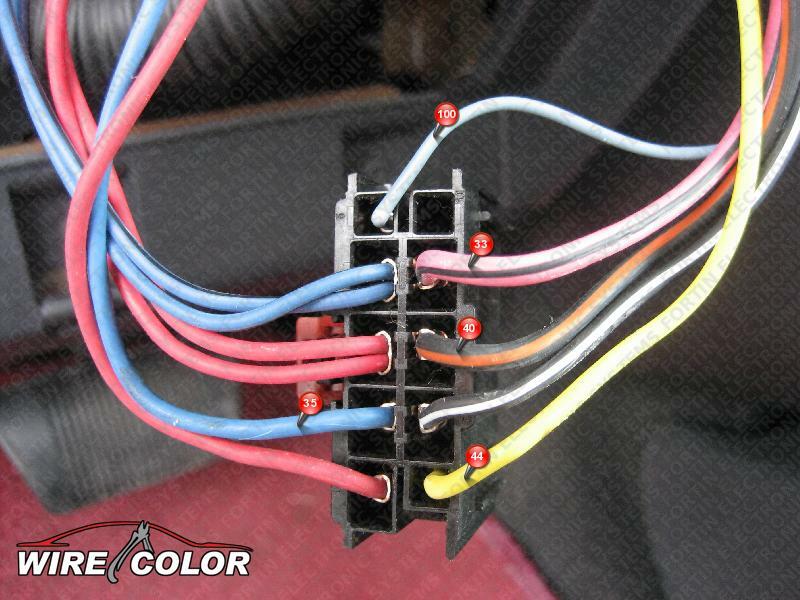 How about Purple colour TACH (AC) wire from Remote starter module? I mean basing on your reply I need to connect Purple colour wire from my Remote starter module to Black/Grey colour TACH wire at Coil in my car like connecting the Purple/white TACH OUTPUT(AC) wire from the bypass module to Black/Grey colour TACH wire at Coil in my car, is that right? 4. To connect the wires from the right side of By-pass module to the wires at steering column, I couldn't able to find 6 PIN Connector with Blue/Black (For Ignition) and Violet/Yellow (For J1850) coulour wires. 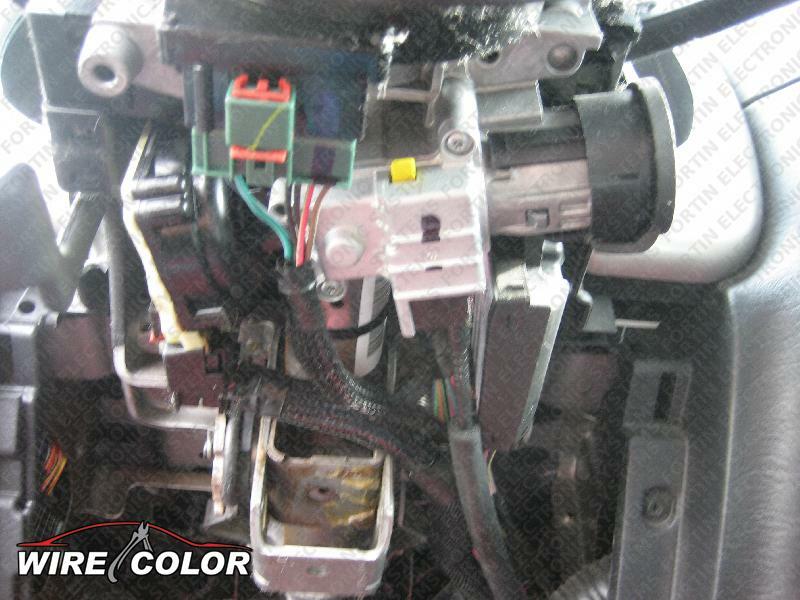 I opened the steering column by removing top and down plastic panels, on the right hand side I only can find a SKIM Immobilizer module with 4 Pin connector and 6 Pin Connector (but with different colour wires i.e., from left to right Brown/White, Red/Yellow, Blue, Brown, Black, Green). Need I've to open anything more in my steering column to expose the 6 Pin connector with the desired colour wires I needed? I know that, I can connect the right side Yellow wire (for Analog Doorlock wire) from bypass module to White/Dk.Green colour wire coming from Driver's Kick Panel. 5. According to wiring schematic of Bypass manual (RS 232 port side control connections, since all the controls towards this side will be controlled by RS 232 PORT) I don't need to connect any of the wire from 12 pin connector of remote starter module, IS THAT RIGHT? (Since the controls from the 12 pin connector of Remote Starter module looks similar to RS 232 port side control connections of Bypass module like virtual connections). 6. 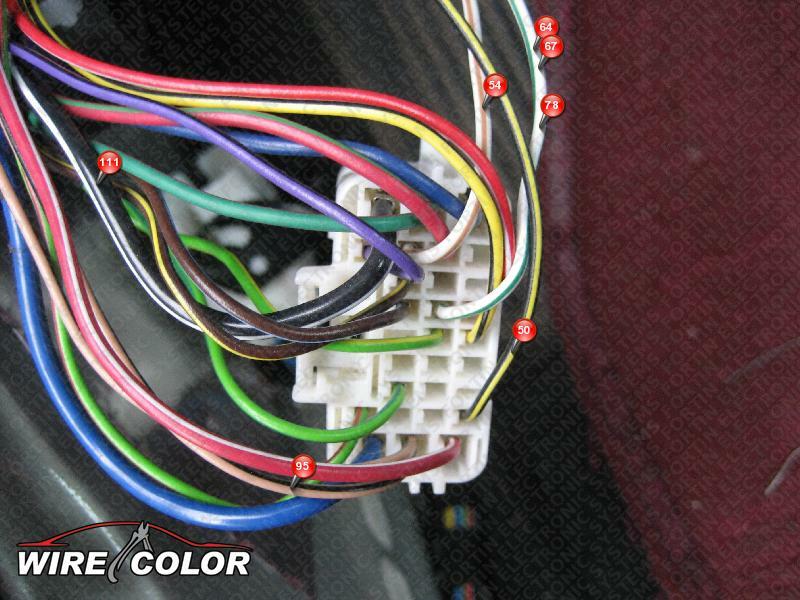 In page number 6 of wire cross reference chart of idataLink installation guide, they given combination of colours for each function (wires at steering column of PT Cruiser and the location they mentioned Harness coming from Driver door). For example, with Ignition it’s as Blue/Black at steering column. My question is, it’s a combination of blue/black colour or either one of the colour (because I can't find the blue/black combination colour at steering column)? I would like to send you couple of installation pictures I collected and those can be useful to you as well as other members here, but I don't find any option here to attach those pictures. I'm not that great in English, but should you require any further information please do not hesitate to contact me. Thanks once again in advance. Look forward to hear from you ASAP. ok q-1 yes -1way data only meaning remote start can send to bypass but cannot recieve . q-2 tach wire is required. Thanks again Rick, the way you explained is peeling like a Banana. YOUR INFORMATION IS WORTH A LOT FOR ME. Might be your answers for the questions below can reveal everything for me about the installation. 1. You replied with note stating that, "remember to perform auto tach learn when programming remote start module" I mean what is this other than Programming the Bypass module once done the installation? However in the idataLink installation guide of Page 6, for IGNITION it's mentioned BLUE/BLACK and for J1850 it's mentioned VIOLET/YELLOW. However my understanding with your reply is, I can ignore the colours except remembering the wire colours in 2 and 4 pin positions where I should connect the Bypass module wires, IS THAT RIGHT? How about checking the IGNITION wire polarity/voltage with Multimeter to confirm whether it's IGNITION wire or not? Is there any other way to confirm (like using multimeter) J1850 wire confirmation status and does it have any polarity? 3. Do we need to do Remote starter programming also like Bypass module programming after installation? If I need to do remote starter programming, please let me know when should I've to do that and how should I've to do that? I mean immediately after doing bypass module programming I should do the Remote starter programming (including autotach programming or should program the Remote starter module first and then the bypass module programming? 4. How about the Hood Pin wire? Should I've to connect the hood pin wire from bypass module with the hood pin wire of Remote starter module? However some said it's not necessary coz the hood pin can get rust in 2-3 months and connect that wire to the ground instead. What is your advice Rick? Thanks again Rick. I think once I get your reply I can start the installation work (Well not immediately coz now its freaking cold here -38C with wind chill). its me rick again . 2- you have the right connector but your looking at it backwards,looking from the rear of the connector pin 2 is vio/yellow data wire (j1850) and pin 4 is drk blue/black - ignition wire . yes they can be tested however unless you have a logic probe or a extremely sensitive multimeter you wont be able to see anything on the data wire (remember this data wire is the communication line between all of the cars computer systems so use care when connecting to it and make sure you insulate your connection well because if this wire touches ground it will cause all the computers not to function at all so just be carefull . 3-yes bypass first then remotestart . Ok, basing on your reply, count from the empty holes (1-6) in a 6 pin connector of SKIM module and connect to 2 and 4 pin positions (for Ignition-Drk.blue/black and J1850-Vio/yellow) to the wires from Bypass module, is that right? 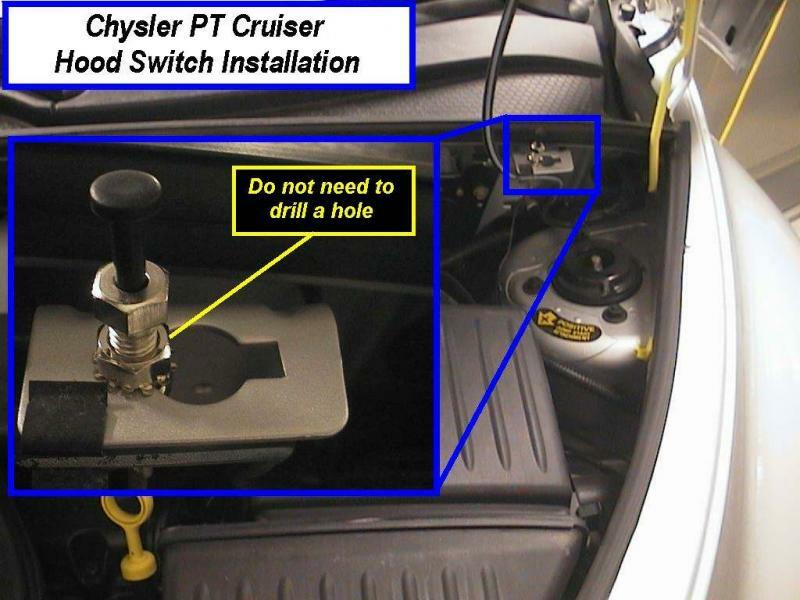 What is the best spot to drill a hole (from interior to engine side compartment) in my 2002 PT Cruiser (coz I don`t have any optional or factory hood pin accessories in my car other than Hood switch like a hook at the Driver`s side door panel) for hood pin wire to connect to hood pin? However I just need to do read carefully about Remote start module programming in installation guide!!!. I think I`m ready for installation now. I`m really thankful to u Rick coz u made me possible to understand each and every aspect of installation process patiently like a school teacher and passing your valuable knowledge. Once I done my installtion, remember this, you will be the first person I`m going to tell after I tell to my wife. Thank you once again Rick for your great support. Last edited by prabhakarglv; 01-15-2011 at 01:51 AM. 1. After I connected +12 volts wire from Remote starter to +12 volts wire at steering column, when I tested for continuity using multimeter I found the display like -11.9V (I'm bit confused about the polarity display in the multimeter). I used the insulation piercing clip to the +ve red cable end of multimeter connected to the +12V wire and connected black -ve cable from multimeter to ground, but still the display like -11.9V. Is that how it shows in multimeter? 2. For me to check the power continuity in Ignition, Accessory and Starter wires using Multimeter, need I have to turn the Ignition in ON position? 3. After connecting the above wires I didn't dare to start the engine (THOUGH I DIDN'T DISCONNECTED THE BATTERY). However I would like to know can I still able to start the engine after connecting the above wires (without connecting the bypass module and remote starter brain with the connectors)? 4. Since doing the soldering for the 1st time to me, during the connection of either side wire ends its kind of little thick in appearance (I make sure the bond should be strong and I taped each wire securely so that there shouldn't be any interference between the wires), however that doesn't affect the power supply in wires, IS THAT RIGHT? I'm doing all this installation work for the last 3 days daily 1 hour each (when ever I find the good weather i.e., -5 to -6C, coz I don't have any garage) and I'm enjoying my work with passion. Thanks in advance for your help Rick. Have a Nice weekend ahead.